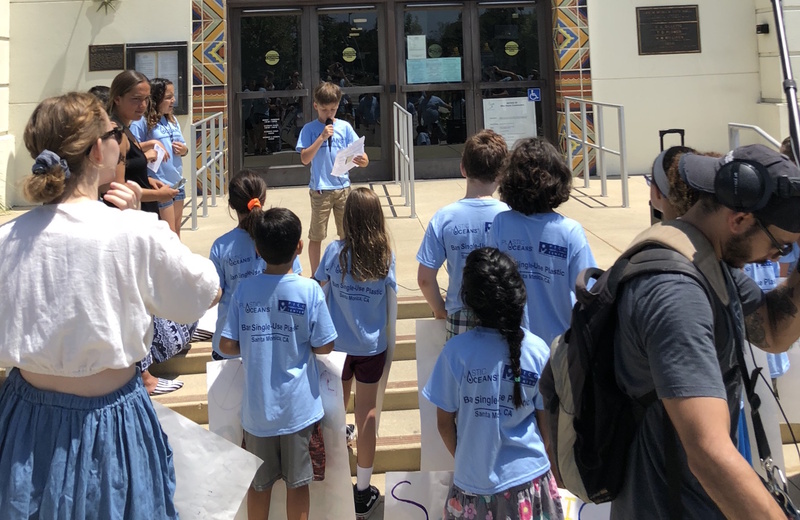 A four-week Social Justice & Mindfulness Summer camp that taught them the importance of advocacy through an approach that addressed: Awareness, Problem Solving & Solution Development, and Action Plan Development. Active lobbying of City Hall and other public officials, including City Manager, Rick Cole. Petitioning of local businesses to support a ban. Organized a rally and march that took place on August 3. The kids of the Pico Youth & Family Center. The kids at PYFC range in age from 7 to 13 years old. They have conducted their own research on the issue of plastic pollution in order to better understand the problem and possible solutions, so that they accurately inform local officials on why the ban is important. 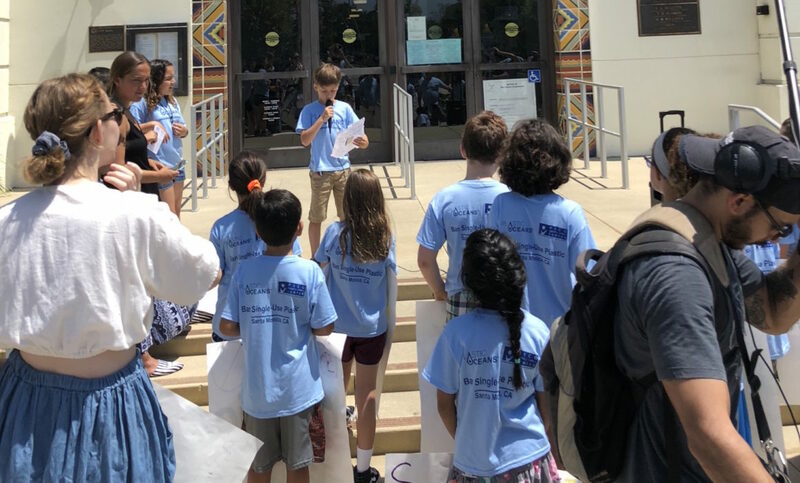 The students have been lobbying directly at City Hall and plan to meet with Mayor of Santa Monica, Ted Winterer, later this month. The students marched through the streets of Santa Monica on August 3, drawing a crowd and great interest. 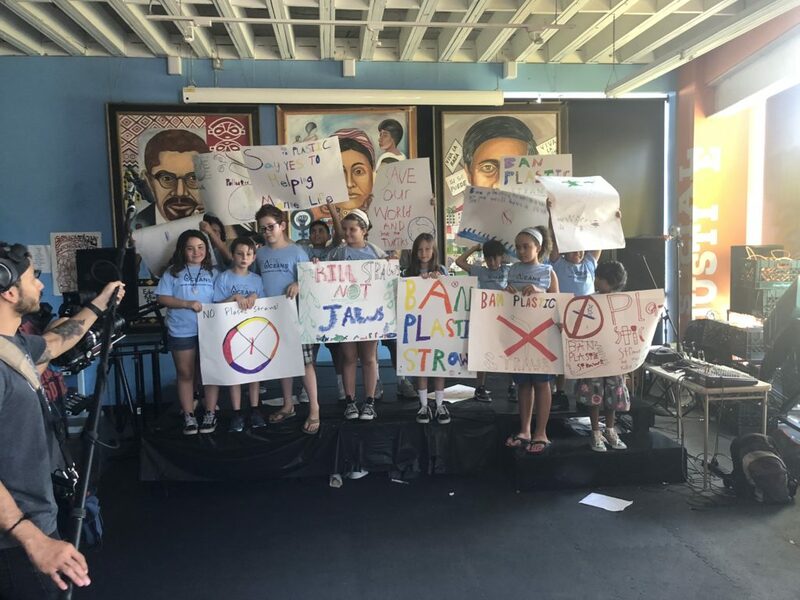 They continue to advocate for a policy to ban plastic straws in the city. With the hope being to eventually see all forms of single-use plastic eliminated in the city of Santa Monica.